In this day of tweets, likes, shares, and emojis, the email may seem as ancient as the typewriter. “You’ve Got Mail” was our first association with email. That was the time when dial-up connectivity was the only way you could access the Internet. Those days are long gone. Broadband technology has been with us for almost two decades. Mobile accounts for more than 65% of online traffic. Yet, despite the advances, email has become more important than ever. This is why email marketing should be a cornerstone of your digital marketing campaign. Email marketing has an ROI of 122% which is four times higher than either social media marketing or paid search. Email ranks third behind colleague recommendation and industry thought leaders as the most influential source of information. Email marketing increases conversion rates better than social media. Email marketing acquired 40 times more customers than Facebook and Twitter combined. There are more than 8 Billion email users worldwide; 27% higher than the total number of social media users. The statistics prove that email remains an effective medium for delivering content. Its usage will continue to grow. By 2022, it is estimated that more than 4 billion people the world over will be using email. 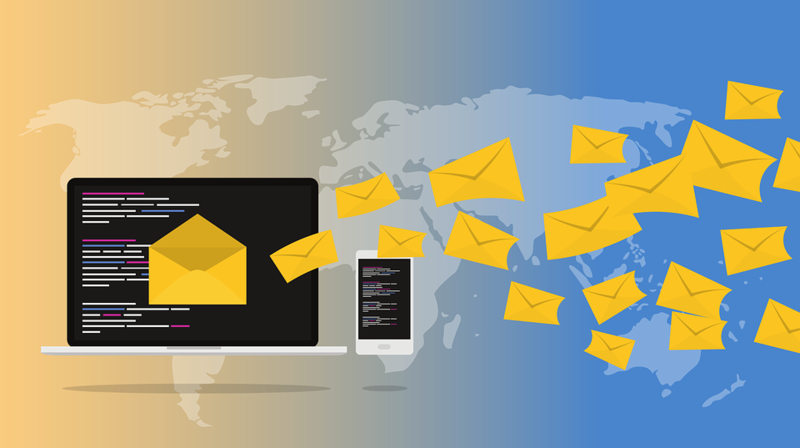 It’s massive growth numbers aside, there are other reasons why you should incorporate email marketing into your digital marketing strategy. Easy Access – People check their emails multiple times a day. Getting your content delivered to someone’s inbox is like having one foot inside the door. With email marketing, the probability of having your content read is very high. Focused, Targeted Marketing – With email marketing, you are delivering content to people who actually need your information. These are qualified prospects who could become paying customers. Compare that to a company that randomly distributes flyers to anyone who walks inside a mall. Enhances Your Brand Building Strategy – An effective email marketing campaign should cover all the bases. This includes considering your brand specifics such as logo, tagline, and type of content in its design. People who receive your email will develop familiarity and strong recall with your branding components. Availability of Key Metrics – The best thing about digital marketing is that you can assess the performance of your strategy in real-time through the use of metrics. Email marketing has many available key metrics at your disposal. These metrics include rates for delivery, email opening, and subscriber retention. Cost- Effectiveness – With email marketing, you don’t incur costs for printing, advertising, and postage. Add to that its tremendous ROI, and you have quite possibly the most profitable tool in your digital marketing arsenal. According to a study conducted by the Direct Marketing Association, for every dollar spent on email marketing, you earn $40. 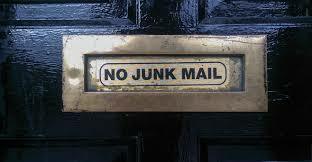 The golden rule of email marketing is: Get permission; don’t invite yourself in. What makes digital marketing strategies so successful is that they are not intrusive. Again, let’s go back to our earlier analogy with the flyer. Having a flyer waved in front of you is not a big deal. It happens in malls and parking lots. However, it does intrude upon your personal space. For some people, this can be annoying and a turn- off. The same goes for businesses that place flyers under your windshield wipers or in the middle section of the Sunday papers. Chances are, most people would regard the collaterals as garbage. With digital marketing, great content is used to compel people to take action. They could follow your page, subscribe to your newsletter, or view your website. Email marketing is one of the most effective ways of getting to your targeted audience. However, you have to get their permission. Otherwise, your email content is no different from a flyer on the face, under the windshield, or inside the Sunday papers. It will be intrusive and unwelcome. With that principle in mind, let’s discuss how you should plan your email marketing campaign. Who will find the greatest value with your content? What are their pain points or concerns? How can my business help them? The answers to these question0073 can lead you to create a Buyer’s Persona which is a profile of your prospective end-user. Having a Buyer’s Persona will help you come up with ideas or topics for your content. If you already have a list of subscribers, find out how they signed up for your newsletter. Was it through your shared posts on social media, your blog page, or did you meet them at trade shows and similar events? Identifying who your audience is will help you come up with a streamlined, cost-effective, and targeted, highly-focused email marketing campaign strategy. Categorizing or dividing your audience into segments is a great way to fine-tune your email marketing strategy. After you’ve identified your audience, you will realize there are different factors and reasons which led them to follow or subscribe to your content. They perceive the value of your offerings only in relation to their specific needs. One segment may prefer content that provides updates on industry developments. Another segment may be more interested in “how to” and list-type content. Segmentation results in higher click-through rates and better conversions! It is a process which has reaped dividends for email marketing campaigns. Now that you’ve segmented your audience, it is time to sit down and plan your content marketing strategy. It should be easier because you already have an idea of the types of content that will interest the different segments of your audience. However, some people still get content creation all wrong. They have the information they need, yet fall back to bad habits. Examples of these habits include writing for oneself and getting too technical. Give your subscribers the rockstar treatment by letting them the first to know about new products, services or by providing special discounts on select items. Make sure your content is unique, usable, informative, and engaging. Without these four criteria, it will be difficult to find value in your content. Let your personality shine! Unless you’re a Vulcan or an android, write in a manner that best represents your personality. When your audience reads your content, they should hear your voice in their heads. Your content should give them an accurate idea of who you are as a person. Keep your emails short and concise. People don’t spend a lot of time reading emails. If they see your content and imagine a grocery bill at Costco, they will click out. Always keep in mind that you are not creating content for yourself. You are creating content for an audience. They trust that you are the expert and can help them with your knowledge and expertise. Your content should make things easier not harder, and that includes the reading experience. In digital marketing, frequency of content distribution is important. The general rule is you should keep your presence felt as often as possible so that you will stay top-of-mind. 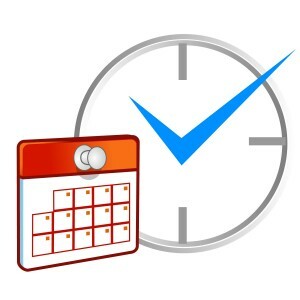 For example, the ideal posting schedule for Facebook is 1-2 times per day. When it comes to email marketing, you have to be more strategic and purposeful in your email distribution calendar. Remember, you are an invited guest to their inbox. Like all invited guests, you have to behave properly. You should not take their courtesy for granted. You have to be cognizant of the fact that when your subscriber opens his/her inbox, reading your content will not be their primary motivation. It will be great if you can send a newsletter once a month. However, if you have nothing of value to share, it is perfectly fine to skip a month. Again, an effective email marketing campaign is all about giving your subscribers value. When you talk about a “campaign”, you are trying to drum up support for a specific platform from a mass collection of people. Those who share your vision will follow you. Those who do not will ignore you. 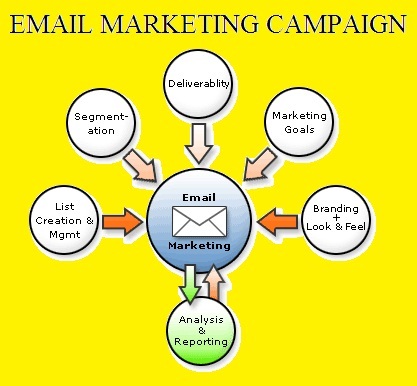 With email marketing, you are running specific campaigns for a targeted audience. These are the people who have decided to follow you for different reasons. As such, by signing up for your content, they view you as a trusted resource. Do not betray their trust by delivering sub-standard content or materials that have no value. 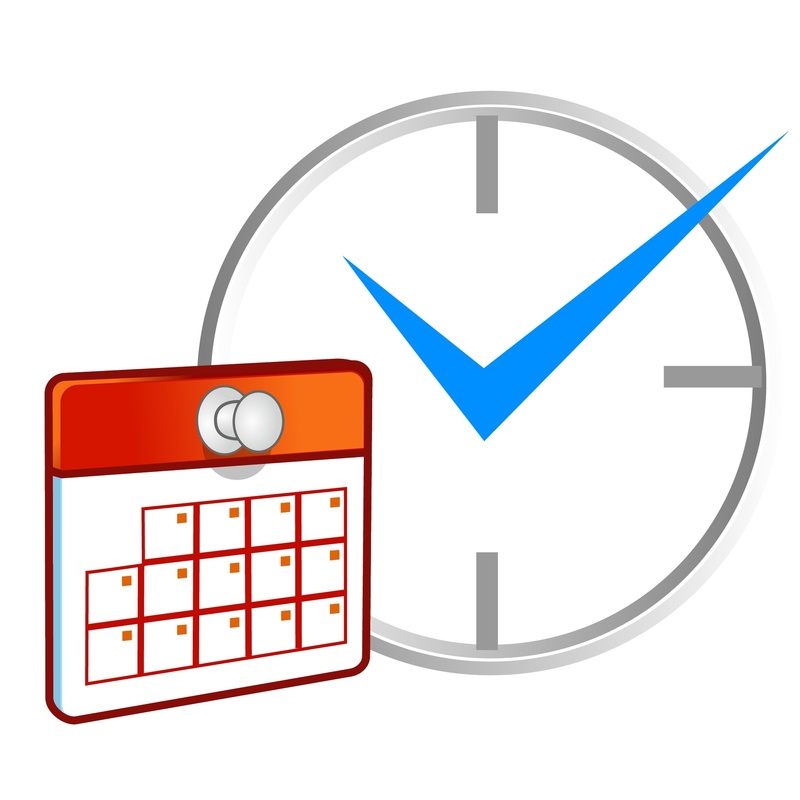 Take some time to plan your email marketing campaign. It is time spent that will yield dividends for your efforts.